Who will be the next Reena Elena A. Malinao? 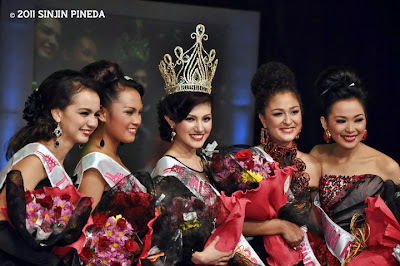 Stay tune as the Official Winners of Miss Cebu 2011 will be announced on January 12, 2011. More photos please... I was like wow when I saw the live telecast on studio 23 last night. I love the production this year... goosebumps!!! Love the theme, Q and As, the dancers from UC, the tenor, etc. However, I only have three disappointments -- the ads' wrong timing interruption, the 4th runner up and the crowned winner. They are such arrghh... nevermind. But everything else is fabulous... much much better than any other pageants in the Philippines a million times better than BB. Pilipinas and Miss Earth. Yeah Miss Cebu rocks!